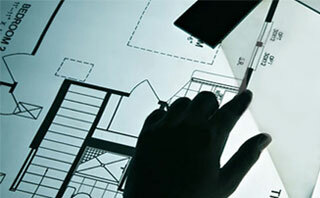 HCSE has been on the forefront of BIM consulting and training services for many years. BIM, or Building Information Modeling, is a new and innovative technique being used to enhance the construction process. It involves creating a 3D digital representation of physical characteristics in a structure, which allows for a more comprehensive understanding of projects and allows for easier communication between clients, architects, engineers, and contractors. Our engineers have implemented BIM as a standard in our projects. BIM services allow work for a quick, clear, and concise documentation of various types of projects. In a field that depends so highly on communication, BIM is an extremely valuable resource that should be utilized by all engineering and architecture firms. Why clients should understand the importance of BIM and choose to work with HCSE? HCSE uses state of the art BIM software to provide our clientele with most expansive resources in design and engineering. Our staff consists of qualified experts on BIM software and this allows us to produce quality work, quickly, and at a fair price. Contact us today at (650) 557-4333 or email us at admin@hcseonline.com to know how BIM could help with your project.